Responses to “The Federal Reserve Needs To Be Boring Again” written by Professor Thomas F. Cooley a professor of economics at NYU. Please take a look at the comments. Almost all of them are in disagreement with what the professor is saying. Help, I can’t unsubscribe to Tonik Health’s emails! When you go to Tonik, a health insurance provider which is part of Anthem Blue Cross, you are required to give them your email address to find out what the cost of the specific plans are. Here’s the trick though, you cannot easily unsubscribe from their mailing list. What’s the problem, did they just make a mistake with the email address? A big company like them, I doubt it. I think that they know and don’t care. If you can’t unsubscribe to their emails, then they can keep sending you spam! It says all I had to do was send a blank email. That’s what I did and this is what I got back. Here are the email messages I got from Tonik when I tried to unsubscribe. Okay, we can take a hint. You only like us as a friend. that, but since this is our last conversation, you might consider revisiting tonikhealth.com and applying for one of our plans. As we’re sure you’ll remember, Tonik is straight-up, affordable health coverage offered by Anthem Blue Cross Life and Health Insurance Company. If you’re under 30, we can help cover you for $70 to $227 a month. Prices are subject to change and vary depending on your age, where you live, and your medical history. Hopefully, you’ll reconsider and apply for one of our plans today. If not, please think about us every once in a while. I’d like to save a friend some dough. Send this to them now. Serving California. Anthem Blue Cross and Anthem Blue Cross Life and Health Insurance Company are independent licensees of the Blue Cross Association. ® Anthem is a registered trademark. ® The Blue Cross name and symbol are registered marks of the Blue Cross Association. © 2008 Anthem Blue Cross. We respect your privacy, so we’ll leave you alone if you want us to. To unsubscribe, send a blank e-mail to unsub@email.tonikhealth.com. Or contact us at Anthem Blue Cross Life and Health Insurance Company, 2000 Corporate Center Dr., Newbury Park, CA 91320. I really enjoyed this book and didn’t hesitate to buy it because I loved the first book co-authored by Marcus Buckingham called First, Break All the Rules. The one thing that really disappointed me though was that the Strengths Finder test can only be taken once. That meant that since the person who originally bought the book took the test, I could not take the same test! Half of the book requires that the reader take the test. Nowhere does it say, “Warning, this book is completely useless unless you take the test. Do not buy this used!” No, I found out half way through the book. To the authors and publishers of this book, STOP being so greedy. People will pay to take the test, but don’t make them purchase the entire book! Ok. Thanks for letting me get that out. Six of our strengths-related books include a single-use Clifton StrengthsFinder access code – part of the value to the original purchaser. But in choosing a used book, even one in “new condition,” the buyer must understand that their savings is due not only to the fact that the book has been read, but also that the single-use access code has been used and is no longer valid. – Now, Discover Your Strengths (2001) – The classic book that introduced the Clifton StrengthsFinder to the public. Written to help you uncover, understand and utilize your own unique talents. – Living Your Strengths (2004) – Teaches you to identify and affirm your talents, as well as how to use them for growth and service. Great information for church congregations that want to help their members become more involved and engaged. – Teach With Your Strengths (2005) – Helps teachers put their strengths to use and become the best teachers they can be. – Discover Your Sales Strengths (2003) – By knowing and focusing on their strengths, sales professionals can excel and profit. – How Full is Your Bucket (2004) – A small gem of a book that demonstrates how even the briefest interactions affect your relationships, productivity, health, and longevity. The books are quite reasonably priced, are widely available in local bookstores and online booksellers, and represent a valuable investment in yourself. Be sure to buy a new copy, as the access code in each book provides the original purchaser a single opportunity to take the Clifton StrengthsFinder. To learn more about these books, please visit http://www.gallup.com/press/17473/Gallup-Press.aspx. After feeling very frustrated, I decided to take some other tests to get an idea of my personality type according to other long-standing methods such as the Big 5 and the Jung/Myers Briggs tests. After doing multiple types of personality tests, I have found that there are some “self-reporting” tests where the assumptions is that the test-taker can best decide which category they fit into instead of using testing methods to “figure out” which categories they fit into. If you’re honest with yourself, you can achieve accurate results by self-reporting. If you can’t be honest with yourself, you’ll have to get “tricked” into choosing the honest answer through traditional testing methods where they ask the same question many different ways in order to find the most accurate answer. If you can’t be honest with the way you answer the questions, then that requires you to purchase the book to take the Strengths Finder Test. So lets assume that you can be honest with yourself and choose to do the self-reporting method. What you’ll need to do is go through the list of themes and rate yourself from 1-10 based on how much you relate to the description. Now that you know what the 34 themes are, you can now rate yourself based on how much you associate with each talent theme. *When rating, use at least 1 decimal place. For example, it is better to write 9.5 rather than rounding up to 10. This will help when you are trying to determine your top 5 themes since you might have more than 5 themes that score equally high. In these cases, being as precise as possible with your rating will help break ties. Look at which categories you rated highest. Pick the top 5. You should now have your top 5 talent themes! Now you can read the rest of the book without being completely lost. If you lost the original code, want to retake the test, or purchased a used book like I did, you might want to re-purchase the book so you can take the test. I am not sure whether the Strengths Finder Test would yield better results than self-reporting. I don’t know, I am not a professional. But based on common sense, it seems like any relatively intelligent person could figure out which talent themes they associate with most. I received an email today from a Ron Paul Meetup Group stating that Ron Paul can be written-in in California. I cannot verify the validity of this. Maybe someone else can. Los Angeles County Fire Department Inspector Frank Garrido says the blaze is at five acres but is growing quickly near Browns Canyon Road a few miles north of Chatsworth. Garrido does not know what started the blaze shortly after 10:30 a.m. Monday, a few miles west of the 3,700-acre brushfire that has been burning since early Sunday in the valley’s northeast corner. From: (CNN) — If you’re lying awake at night, feeling angry or fatigued, because of stress, you’re in the majority, according to a nationwide report released Tuesday. 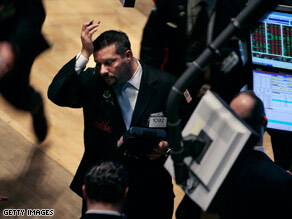 Anxieties about the economy are not only affecting Wall Street, but also 8 out of 10 Americans. As many as 80 percent of Americans are stressed about their personal finances and the economy, according to the annual survey conducted by the American Psychological Association. Top sources of stress in previous years were personal finances, work and issues related to raising children, said Dr. Katherine Nordal, the association’s executive director for professional practice. What are facts? How do we know? What is inherently true?